It’s summer-time, very hot, very humid, and this means… it’s time for ClueCon! I’m losing track, but this year will be my fourth or fifth time attending this conference in “beautiful” Chicago. ClueCon is a conference for developers by developers: an annual technology conference held every summer hosted by the team behind the FreeSWITCH open-source project. 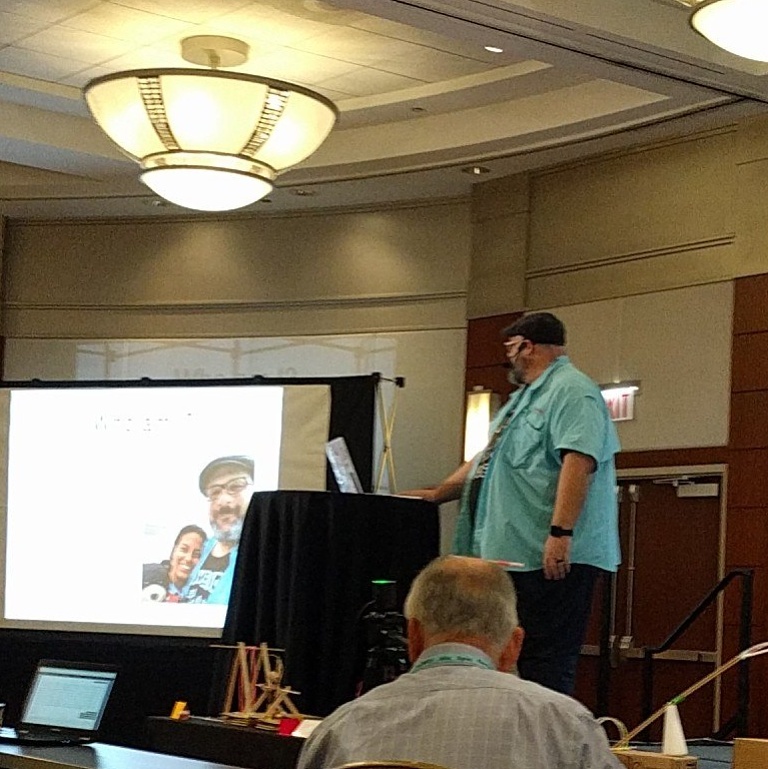 And yes, I’m not the biggest (fat joke) fan of the windy city (although the location of ClueCon is one of the nicest areas of Chicago). Besides seeing one of the nicer areas of Chicago, you get to rub elbows with some amazing people in the VoIP world, too many names to list. Heavily centered on FreeSWITCH, there’s also talks on Asterisk, Kamailio, Janus, and more. It’s a great time, with great people, in an OK city 😉 My talk, “Kamailio as a SIP Edge Router,” is on Thursday. I look forward to seeing you in Chicago next week! That moment when you realize you’re wearing the same exact clothes as the photo on screen.